In SNEC 2018, EnergyTrend learnt that Germany's SMA global installation exceeded 65 GW. Established 37 years ago, this world’s first inverter company still leads the industry. SMA China has a long history in the inverter industry. In an interview with EnergyTrend, its Chairman, Dr. Yong Zhang, expressed that there are two major features of SMA's products: Advanced technology and forward thinking. Zhang explained that SMA's product currently ranges from the scale of KW to MW. Its product segments cover residential, industrial & commercial, and large-sized utilities. The products can be an off-grid system, an on-grid system, an all-in-one solution, or a modular product. In order to satisfy customers' various requirements, SMA China’s PV inverter systems can be used on rooftops, water, and agricultural environments. SMA China not only provides products and monitoring systems, but also offers services from technical support to operation and maintenance. 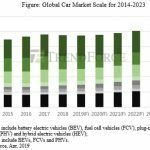 Technology-wise, SMA’s inverter is leading globally. In 2017, SMA exhibited the only free-standing inverter "Sunny Tripower Core 1" and the PV industry's state-of-the-art 2.5 MW inverter for a single power station in the SNEC expo. In SNEC 2018, SMA showed a new model, Sunny Boy Storage 3.7 / 5.0 / 6.0, which is a power storage system for grid-connected PV systems. 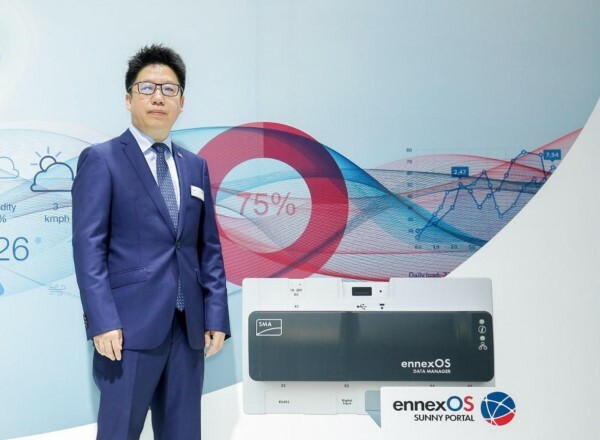 The company’s cross-sector energy management system, ennexOS, is said to be its most futuristic and progressive platform. 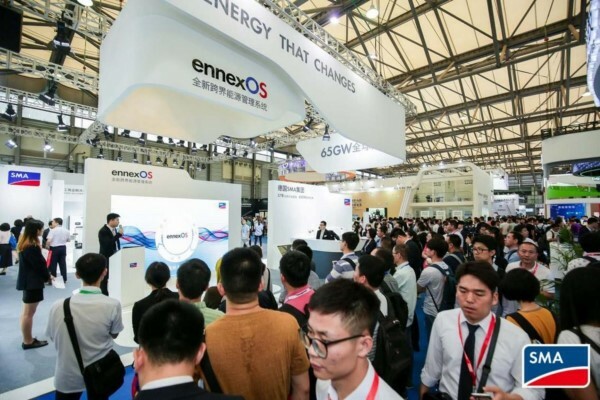 In SNEC 2018, SMA held China's first ennexOS launch party. This IoT platform integrates multiple energy segments, and it is a futuristic, holistic, and automated smart energy management system. It can integrate PV energy, power storage, natural gas, electric vehicle, power grid, thermal energy storage, combined heat and power system, and heat pump system. With optimal arrangement and management of various energy systems, it maximizes energy utilization and can be applied in various application scenarios. ennexOS's initial launch party booth at SNEC 2018. The futuristic ennexOS modular design is compatible with solutions from different suppliers, so that in the future, customization will be doable and more features can be added. Zhang expressed that SMA's ennexOS is backed by two solid backgrounds. First, SMA has the technology advantages of inverters and of energy management. Second, it can adapt to regions with different energy applications. In Germany, renewable energy makes up a total of 60% of the country’s power generation, which makes it a great place to connect, support, and optimize different energy generation systems. The ennexOS was launched in Germany for the first time in 2017 and practical application cases have been carried out since then. According to Zhang, SMA China has been implementing the ennexOS domestically, and in the future, demo projects will gradually start. At the end of 2018 or early 2019, practical applications can be implemented in China. Zhang expressed that in 2020, PV energy management is definitely the most crucial part of the PV industry. 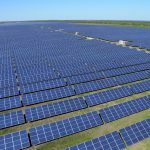 SMA's ennexOS will bring the PV industry to a new level in the near future. In his interview with EnergyTrend, Zhang stressed the importance of China’s market to SMA. In China, SMA China's strategy is to make use of its two market brands: the local brand Zeversolar and the official SMA brand. To support its local customers' demand, SMA provides customized products and services with technology and management that are imported from SMA’s German headquarters. Nowadays, many products of the SMA Group have been shifted to be manufactured in Chinese factories. Their entire product life cycle is consistent with the standards of its German headquarters in terms of manufacturing processes, maintenance, sales, quality control, SOP, technology requirement, and testing. China’s government has recently and consistently been impacting the PV industry by issuing various PV related policies. As a result, SMA China has actively taken measures to cater to these policies. In response to the release of China’s "Smart PV Industry Development Action Plan (2018-2020)" co-issued by the MIIT and 5 other Chinese government departments, SMA China has officially begun to promote its ennexOS in China. The PV Poverty Alleviation project that was recently carried out by the Chinese government has also caught the attention of SMA. It is worth mentioning that China has recently issued a new policy called "PV Poverty Alleviation Station Administrative Regulations" which sets a higher requirement for PV enterprises. The PV industry has recently made a mix of positive and negative comments about this policy. In Zhang’s view, this policy will be beneficial to SMA. "High product quality is SMA's value, lifeline, motto, and advantage. Thus, the higher the requirements from the government, the better for SMA, because SMA's value will be highlighted," said Zhang. By contrast, some Chinese domestic companies will not be able to fulfill the new policy requirement. Thus, in 2018, a massive shakeup is expected for the industry. This direction will make the PV industry healthier.